A week spent in Railey Princess Resort & Spa at the beginning of 2019 made me feel so much part of the breathtaking landscape of Railay beach! I felt like I was in a romantic movie. Railay Princess is one of the smallest hotels on Railay bay but it features charm, comfort and great location. In fact, this is our second time in thes fabulous hotel. Railay Princess Resort & Spa is located on the east side of the peninsula of Railey, Thailand. It was a long trip from Phuket airport to this dream resort. We booked online with krabishuttle.com a private transfer from the international airport of Phuket to Ao Nam Mao pier. At our arrival at Phuket the driver waited for us. We paid him TBH 2,300 (70 USD). It was a fair price for a 2.5-hour trip. At Ao Nam Mao we took a long tail boat to Railay East. The price was TBH 100 (3 USD) per person. It was a short 15-minute trip. Railay Princess is a waterfront hotel. The resort is right next to the pier for the boats to Krabi town, Thailand. A beautiful mangrove forest grows just in front of the reception. When there is a low tide, there is a kind of beach in a close vicinity. 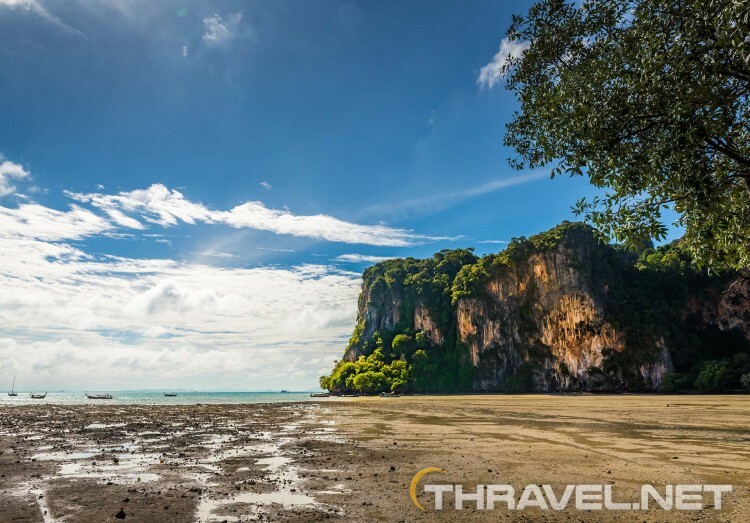 Yet, beautiful Railay beaches are on the West coast which is at a 5 minute walk from Railay Princess hotel. 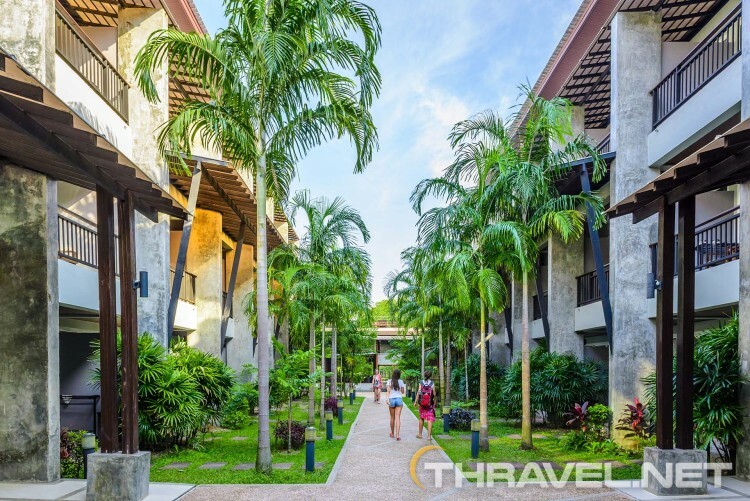 The accommodation is situated on the walking path along the east coast with a group of other resorts such as Sunrise Tropical Resort, Railay bay, Rayavadee Resort, Bhu Nga Thani Resort & Spa, etc. At night this part of Railay beach is more lively and fun. Railay Princess Resort & Spa, Thailand features modern minimalistic design that perfectly fit the nature. The lodging is surrounded by spectacular limestone cliffs that are visible from many hotel’s rooms. We did a research what type of room to choose to get a strong Wi-Fi connection. In email correspondence the hotel’s management advised us to opt for a deluxe room. Our room was on the second floor, so we were far from the noise and also enjoyed a garden view. It was next to the infinity swimming pool overlooking the stunning scenery of Railay bay. We were also very close to the breakfast restaurant, hotel’s mini market, the ATM and the walking path along the sea. The room was spacious even with an extra bed for our daughter. For a week, we lived in an accommodation with a king size bed, one comfortable single bed, and a sofa. Between the bathroom and the bedroom, there was a glass sliding door so that we could can watch TV while having a bath. Among the amenities were slippers, bathrobes, 3 bottles of water per person per day, toothpastes, tooth brushes, vanity kits, coffee, tea, kettle, an alarm clock, safety box (free of charge) and a TV set with 15-17 channels. Additionally, we could use a flash light (without batteries), umbrellas and a hair drier. One of our favourite places for a morning coffee was the balcony. Although the staff warned us to keep the balcony door closed because of the monkeys, we did not see any of them during our stay. We had good Wi Fi connection both in the room and in the common grounds. There were two networks available. Each time we needed to surf the Internet we had to enter a password which was the room number. In the room, there was a minibar with nonalcoholic drinks and snacks at extra charge. Prices were cheaper than in the mini market. Hotel’s management provided free of charge daily tea and coffee sets. Of course, there were some small drawbacks. For example, there were no mosquito nets nor repellents in the room. Luckily, we had a portable anti-mosquito appliance in our luggage. Staff were friendly and helpful. As in the whole resort, during our second stay we did not see ladyboys among the hotel personnel. In February 2019 we booked directly with the hotel’s website and stayed 4 nights. The total amount for 3 persons in one room was 18,840 Baht (530 euro). The detailed quotation was 3,510 Baht per night in Deluxe room including breakfast for 2 persons. We were offered an extra bed for third person at 1 200 Baht. They charged our credit card 20 days before the arrival date. Railay Princess Resort & Spa is small as a territory but features all the amenities needed for a comfortable stay. The main highlights are the swimming pools. They both offer lovely views – one is facing the Railay beach, the other overlooks a lake and a tropical garden. The endless pool with a sea view has a shaded area so that guests can relax under the hot sun or hide when it is pouring rain. In fact, the resort, is the only one on Railay beach with a pool on the second level that overlooks from above the majestic limestone bay. The second infinity swimming pool is also spectacular. Both feature Jacuzzi zones for relaxation. Guests can also use a fitness and a spa center in the hotel. Still, the prices are high. An hour of classical Thai massage cost TBH 860 which is more expensive than the similar services in Phi Phi island hotels and Phuket hotels. In comparison, there are studios along the Railay beach that offer a massage per 300 BHT. If you are not picky about hygiene, you can opt for a cheaper Thai massage. There is one restaurant in Railay Princess Resort. From 07:00 am to 10:00 am they serve breakfast there. The breakfast menu was good with a variety of local fruits, Thai curry dishes, and pastry from hotel’s bakery. At the evening, the restaurant offers international and local cuisine. Prices are higher than in typical modest restaurants on the East coast but are similar to the other hotel’s restaurants. Clients pay BHT 250-350 (10 USD) per meal. A bottle of wine cost TBH 1200 (36 USD). Desserts were mediocre. Probably because the staff were mostly Muslim, most of the time there was no music in the common grounds. Speaking about the receptionists, as I have already mentioned most women wore head covering. Still there were also lady boys among the staff. The local religion and culture in this part of Thailand did not affect tourists’’ behavior and there was no dress code for them. 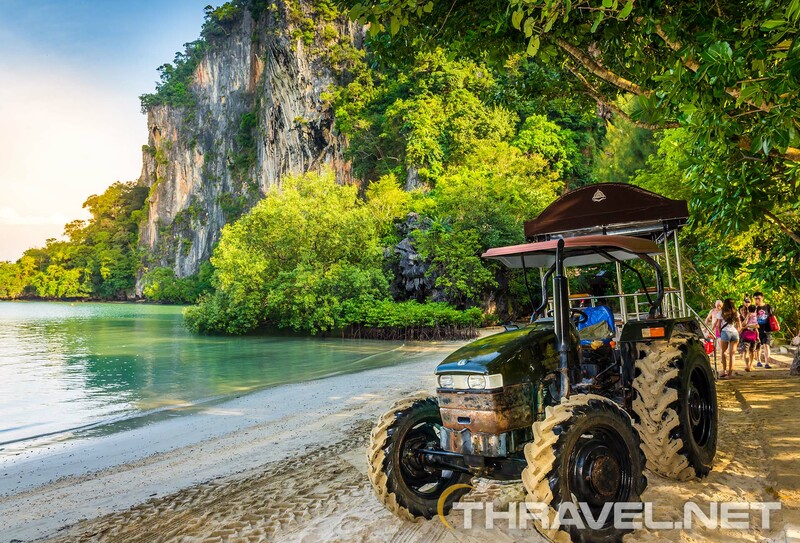 Now we are back to Europe and we are convinced that we would come to Railay Princess resort again. 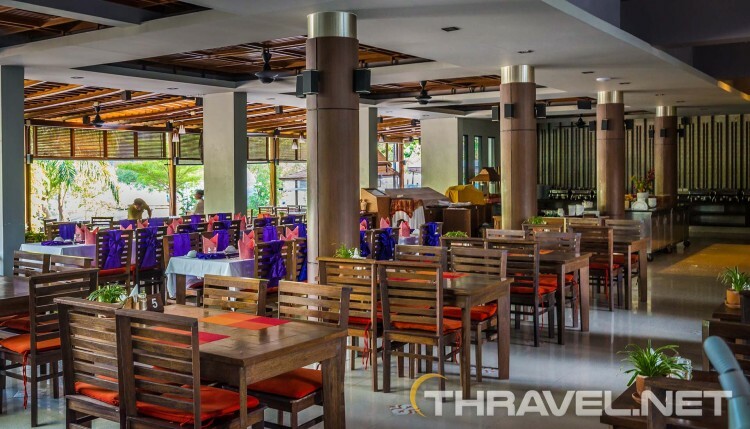 It is probably the best value hotel in a relatively pricey area in Thailand.